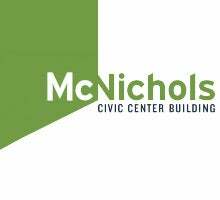 This site-specific installation in the First Floor Community Gallery at the McNichols Civic Center Building celebrates the successful history of Youth on Record over the past 10 years. Through a model partnership that brings together the local music community, public schools, the nation’s leading housing authority, and the philanthropic sector, Youth on Record is a powerful example of what’s possible when musicians and nonprofit/public sector leaders embrace an entrepreneurial spirit and band together around a common cause. The exhibition highlights the organization’s milestones over the past 10 years, and the awards and recognition they have garnered, as well as featuring past and present participants. Ever changing and evolving, Youth on Record always puts students and artists first. YOR is now a nationally recognized arts education and youth development movement. 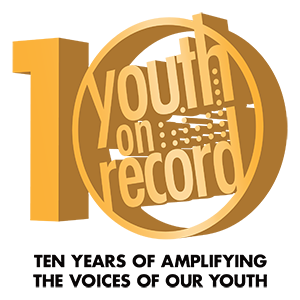 Youth on Record's mission is to empower Colorado's underserved youth to achieve their academic, artistic and personal best by employing local professional artists as their educators. YOR's vision is for youth to discover how their voices and value can create a better world. This is a story of a decade of amplifying the voices of youth through music.